POST ALL BUILD RIGHTS REQUESTS HERE! Re: POST ALL BUILD RIGHTS REQUESTS HERE! I was hoping that I can be more of a builder if I can spawn more than wood lol. But what if I needed to spawn glowstone or cobblestone? Thats a must have for my city. (in progress) I know I know I haven't been on the server much. Im just asking for a higher building rank so I can do more to help the server. aka help more people build, spawn for newest members, and etc. but before that I would like to say I have been mistaken for griefing and I talked to the server about it and it was just a big misunderstanding. 3. The most important reason is that B3 has God mode. I keep asking the server to put me on god mode and there starting to ask me to shut up... God mode for 1. dont die falling from huge heights and for 2. don't drown (I want to make a huge underwater city. 4. I just want to do more to help the server. And I dont know if you read this but I suggested a new server just for rp. We should consider it. How you heard about us: I was browsing google for some good servers. Most of them timed out, but this one didn't do I decided to join. 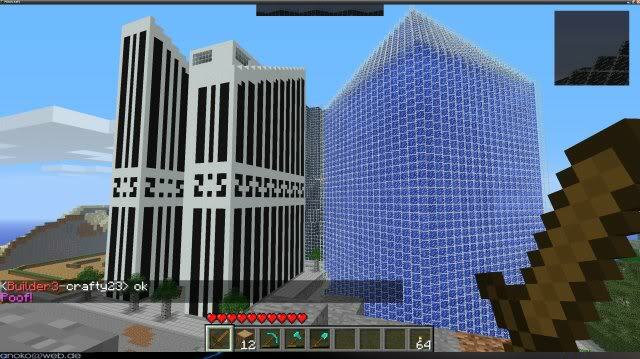 How you heard about us: I was doing a search on minecraft servers and yours came up. I've been playing on your server for about....a week or so now. I love it! How I Heard Connorcpu's Awesome server:MCSL!!!! OK anyone who is requesting for mod on here is not very observant. we have HAD this talk many MANY times since the new server style. there are NO open mod+ spots. (if there are i do not know of them) but there are NONE!!!!!!!!!!!!!!!!!! and i doubt there will be for awhile. so STICK WITH UR CURRENT RANK B3'S!!!!!!!!!!!!!! and below. just get to B3 then SHUT UP!!!!!!!!!!!! Well at least I took TIME writing a 2 paragraph/8 sentence page of why I should be mod. So if there are people just askin for mod w/o the work I have a more likely chance than u then! so did i. but there are people who have been here for a LONG TIME and not gotten mod (on this map) like Miner_Person and several others (but i kinda dont beleive em when they say "i've been on for like 1 year" then someone else says they dont recognize em they say they were on before them) so. shut. the. *CENSORED*. up. about. mod. requests. Why am I requesting this rank? I feel I contribute somewhat to this server, being the current highest rank in /stats and on the mcmmo. I help others when they need it, I build frugally and don't waste a lot of land. 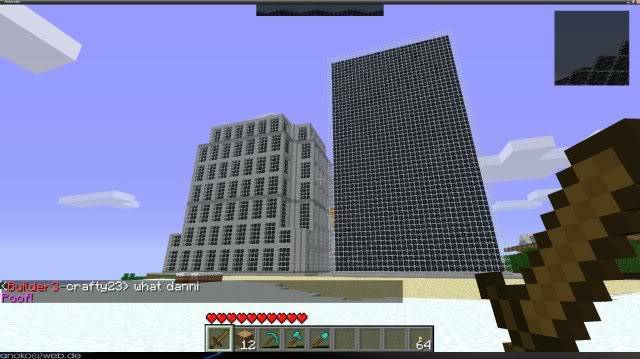 I have begun construction of a Metropolis and generally build skyscrapers (hence frugal), I have cleared out a 200x200 space already to begin my goals. In short, It's solely out of necessity, if I could remain the lowest rank and build what I wish, I wouldn't ever ask for a promotion. I prefer building legitimately, it's the most fun for me. However, I wish to speak plainly on my motives. 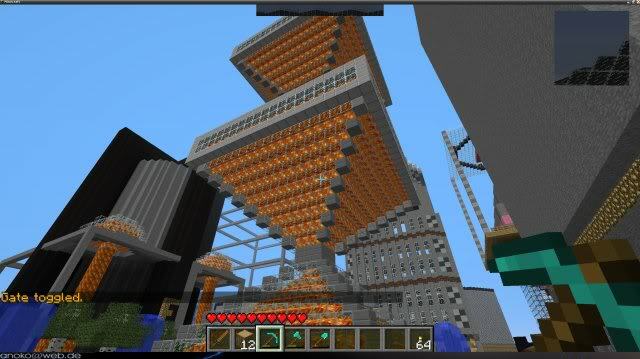 I wish to utilize lava buckets to help construct some skyscrapers, as well as decoration/lighting for my roads on my Metropolis. This is currently impossible, and I wish to rectify this. Your prompt review and rejection/acceptance is appreciated, thank you. you griefed the old map. 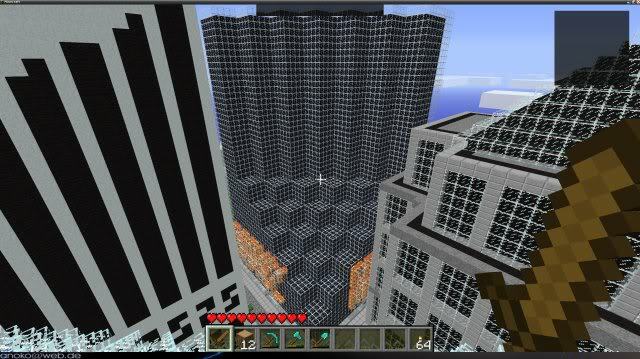 and i dont forget griefers. I am sorry for what ever I grefed and I wish to have a fresh start althow I am a pritty good builder I under stand why I can't be promoted but I hope some day I can be promoted.